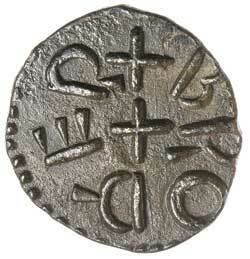 KINGS OF NORTHUMBRIA, Redwulf, (843-844), copper styca, (1.17 g), moneyer Broder, (S.867, N.189). Dark patination, extremely fine and rare. 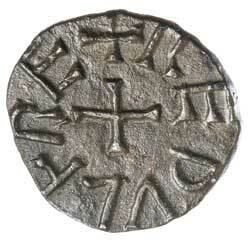 Ex Matthew Rich Collection and previously York Coins, WZ18, July 2014.